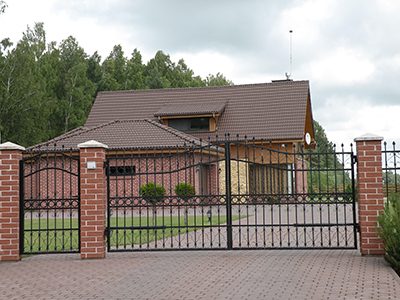 With an automatic gate, you have higher security and greater convenience when entering and exiting your property. Our job at "Gate Repair Brea" is to ensure that your gate performs reliably and safely. That is why we offer a full array of services for such systems from new gate installation to maintenance and repair. Our solutions cover each and every component of the system including the opener and the intercom. When required, count on us to provide full emergency assistance in the fastest possible way. Our company works with all types of gates from swing and sliding units to overhead models. The make, brand and year of manufacturing are irrelevant. Expect to receive servicing of the highest quality. When an issue occurs, entrust us with its resolution. You can have complete confidence in our expert knowledge and skills and in our swift response as well. You will receive the required service within the shortest time. 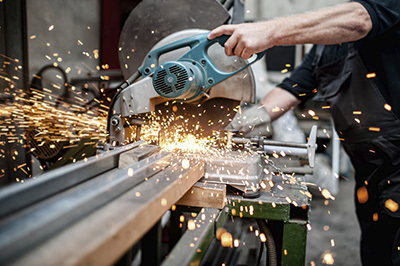 Over the years, we have developed a highly effective approach to the repair of gates and it is implemented strictly by all of our technicians in California. It begins with thorough inspection and testing for identifying the cause of the problem. Once this is done, the best repair technique is used to eliminate the particular problem. Both our techniques and our equipment are technologically advanced. This enables us to achieve the perfect result quickly. Count on us to repair gate motors and hardware components such as tracks, wheels, and hinges equally well. One of the major factors behind the popularity of our service is that we pay close attention to details. When swing gate hinges are fixed, for instance, our technician will clean them and lubricate them to ensure that they work smoothly and quietly at all times. It is our commitment to take all required steps for achieving perfection. When a component is beyond repair, it is replaced with a new one of the same specifications. Our company is always fully stocked on replacement components including gate remotes. They are hand-picked to ensure that each one is of the highest quality. Since you most certainly use your electric gate on a daily basis, it should be easy for you to notice any troubling signs. When this happens, you should get in touch with our gate repair company in Brea right away to ensure that small malfunction will not turn into a huge problem. We are readily available to answer all of your questions and to help you without delay. * Why is my sliding gate making popping sounds? This shows that the rollers have become extensively worn out. Our technician will inspect the system to confirm the cause of the problem and will replace the old components with new matching ones which are strong and durable. * How come the electric gate is not closing? This issue is usually due to faulty safety sensors. Less often, the problem is will the opener. In any case, the malfunctioning device will be repaired promptly. If it is beyond repair, it will be replaced. Hire us at Gate Repair Brea for installing a new gate and opener for you when the time comes. Our service includes full assistance throughout the comparison shopping process. The gate will be installed with precision. The opener will be set securely in place and all of its settings will be adjusted. Count on us for the intercom programming as well. Do you need assistance with your gate today? Our company offers same day emergency gate repair services in zip code 92821. With expertise in the newest openers for residences in California, our technicians utilize their knowledge to fix electric gates and guarantee safety. Looking for a reliable gate service provider in Orange County? Look no further! 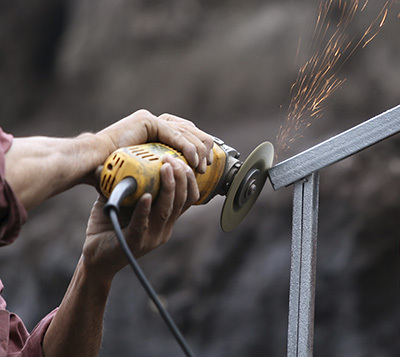 Our company offers a wide selection of services from driveway gate installation to welding hinge repair. Count on us for same day services, and for fast response in emergencies.